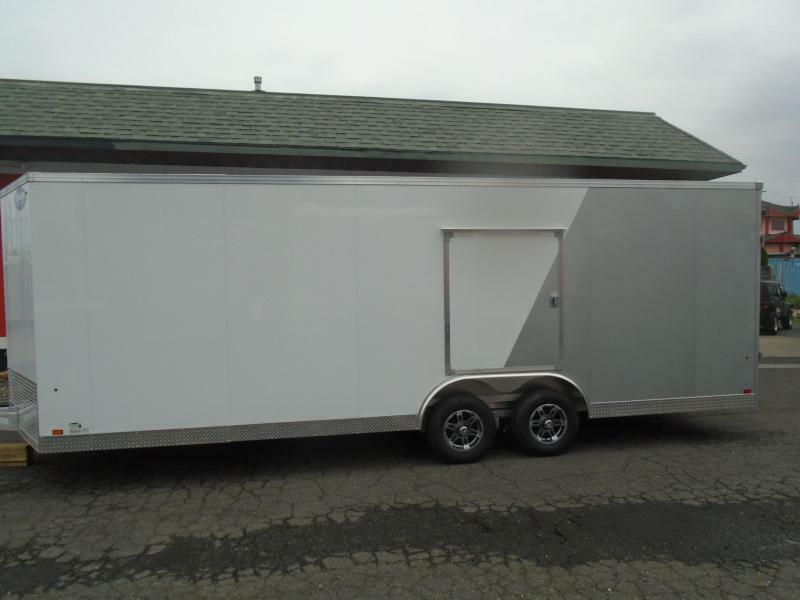 8.5' X 20' with all the bells and whistles. 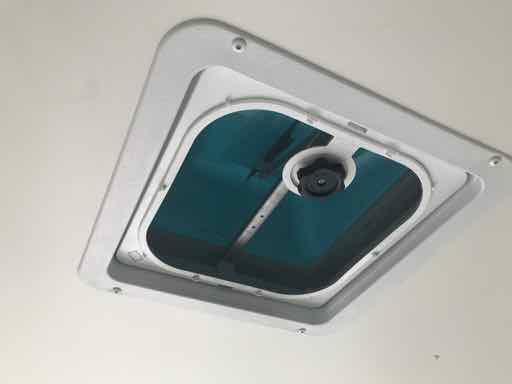 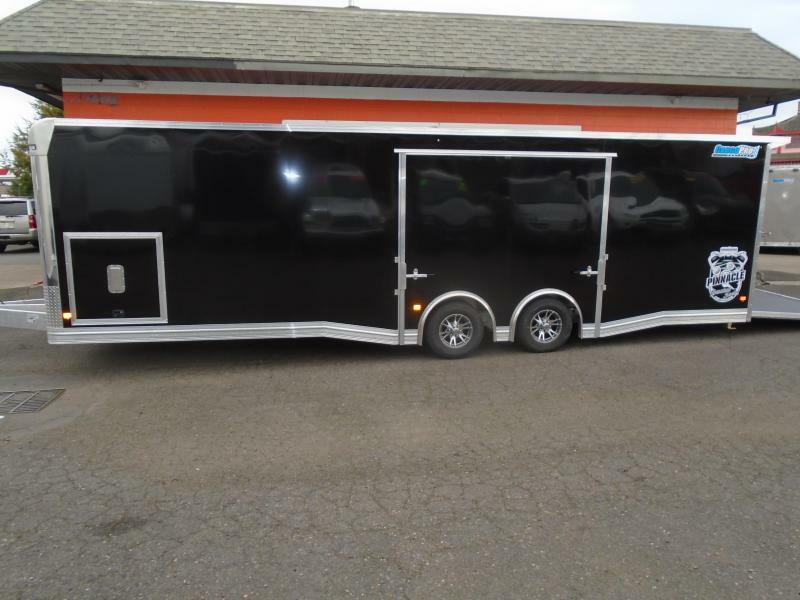 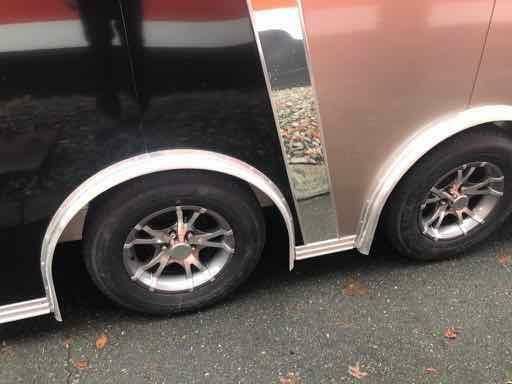 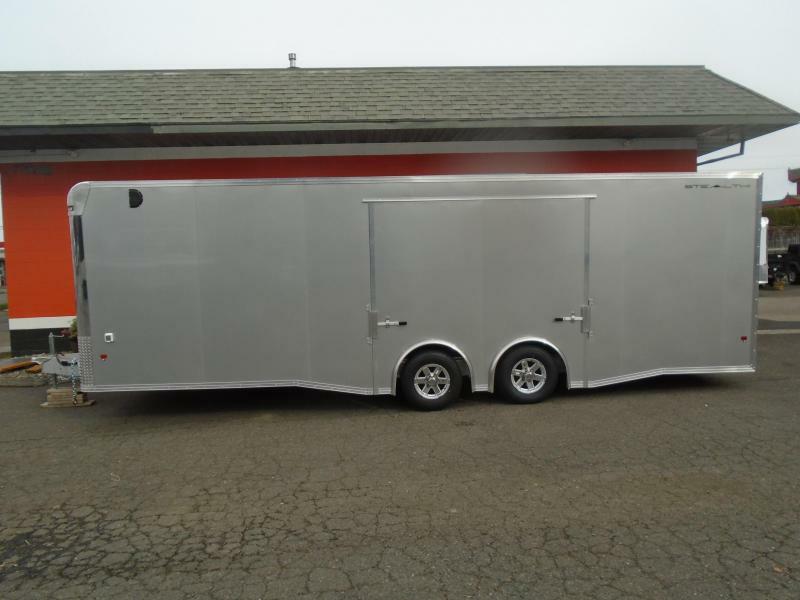 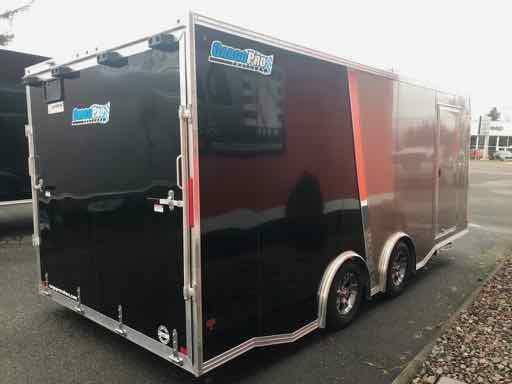 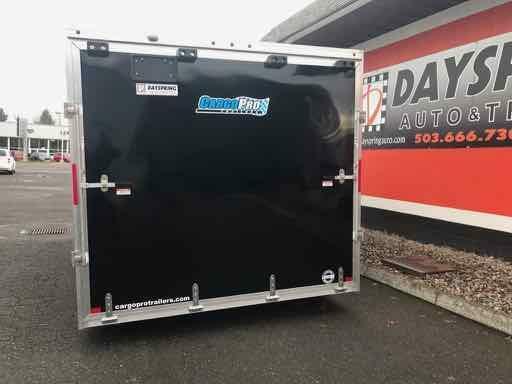 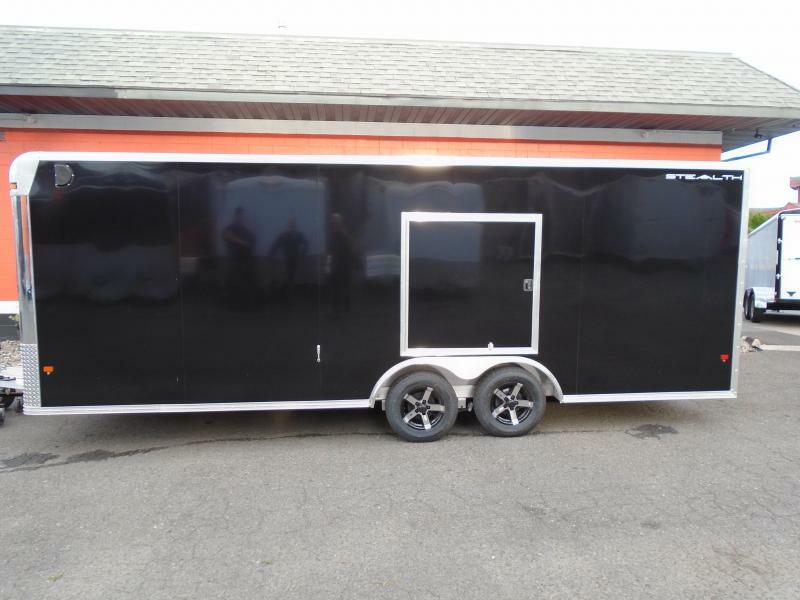 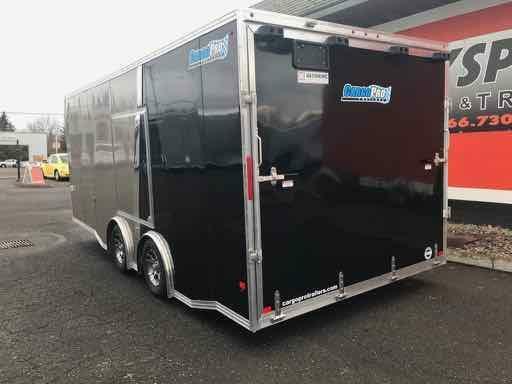 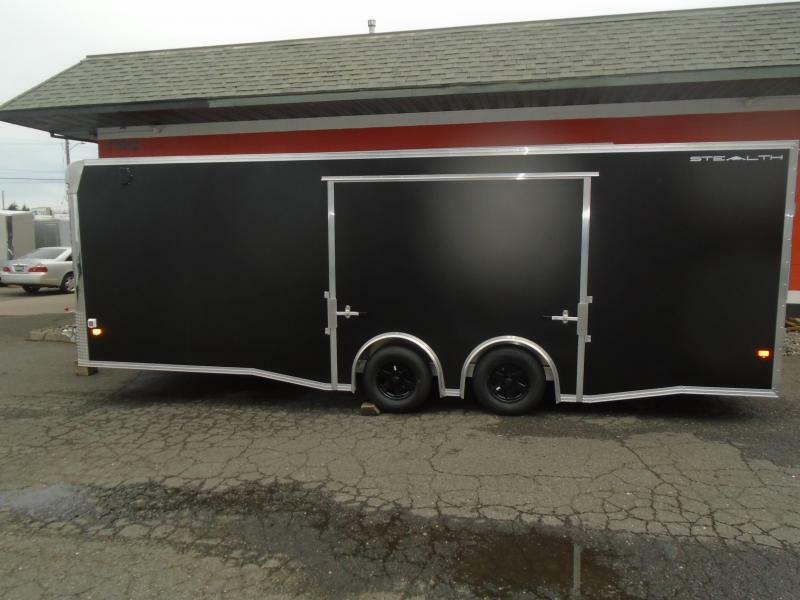 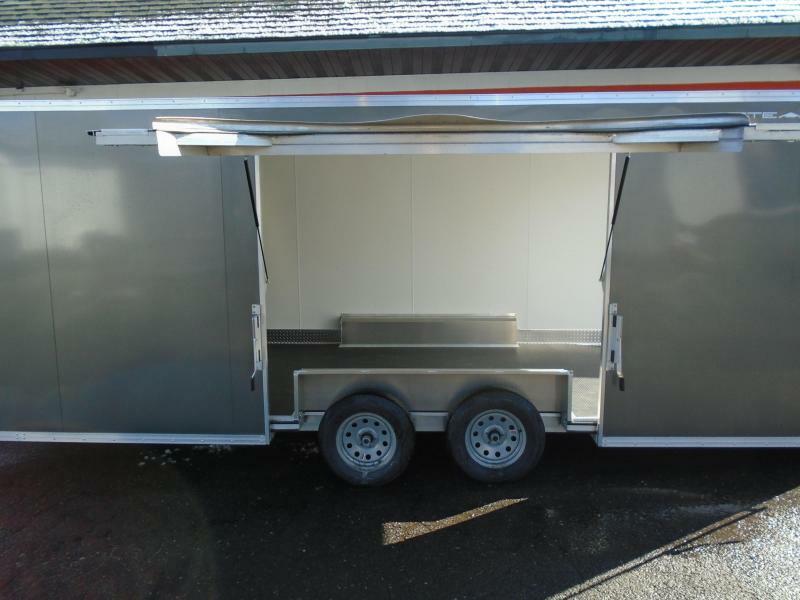 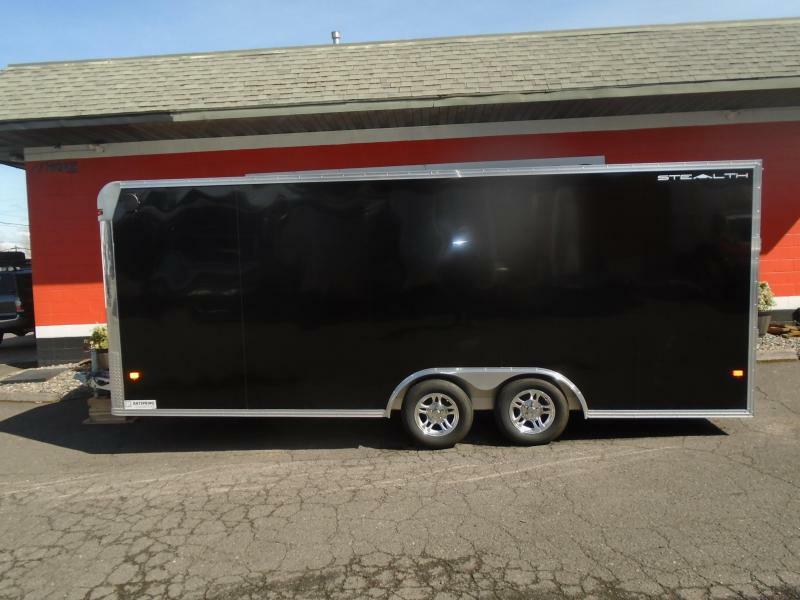 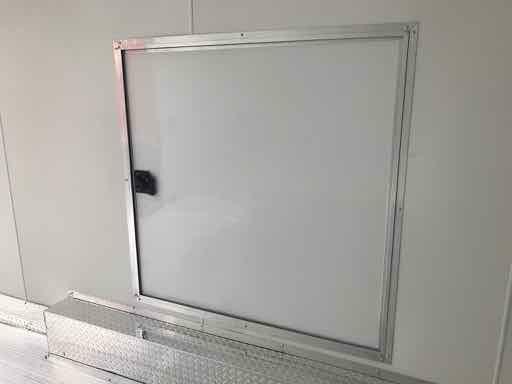 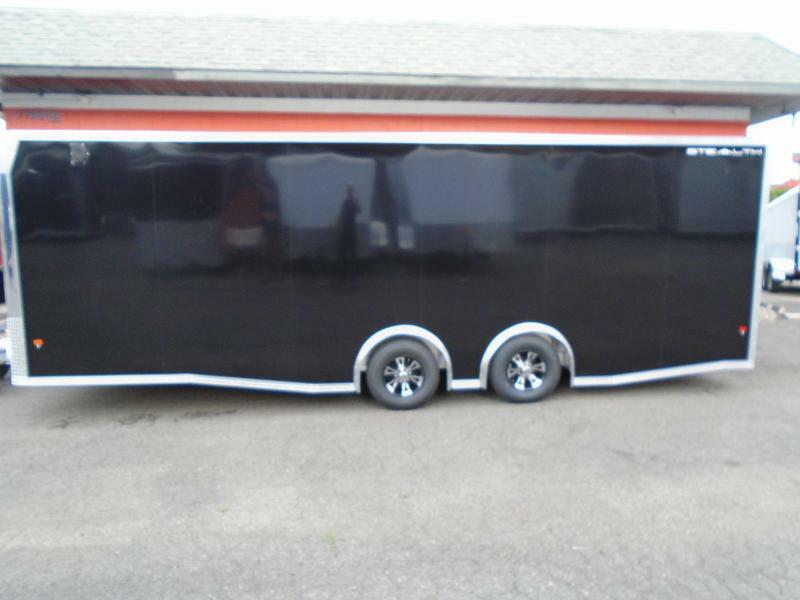 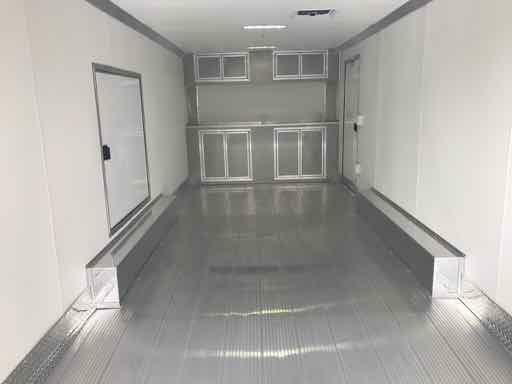 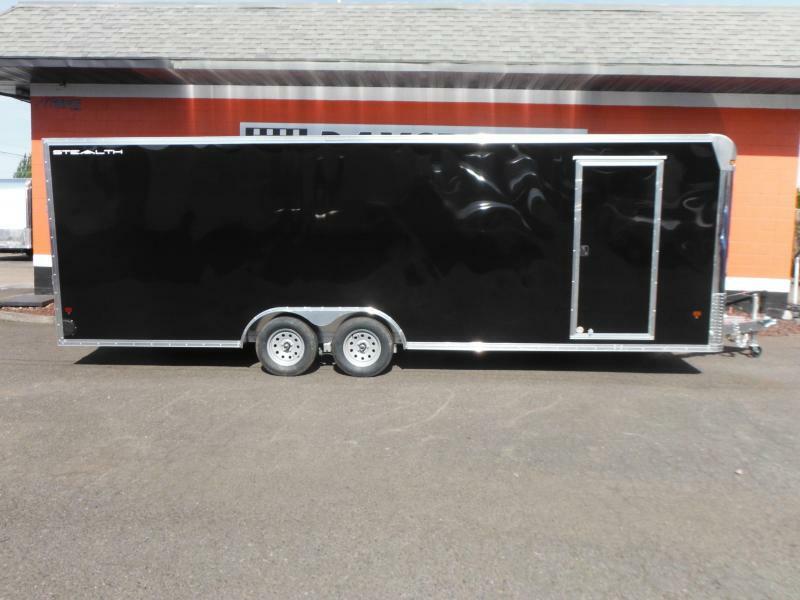 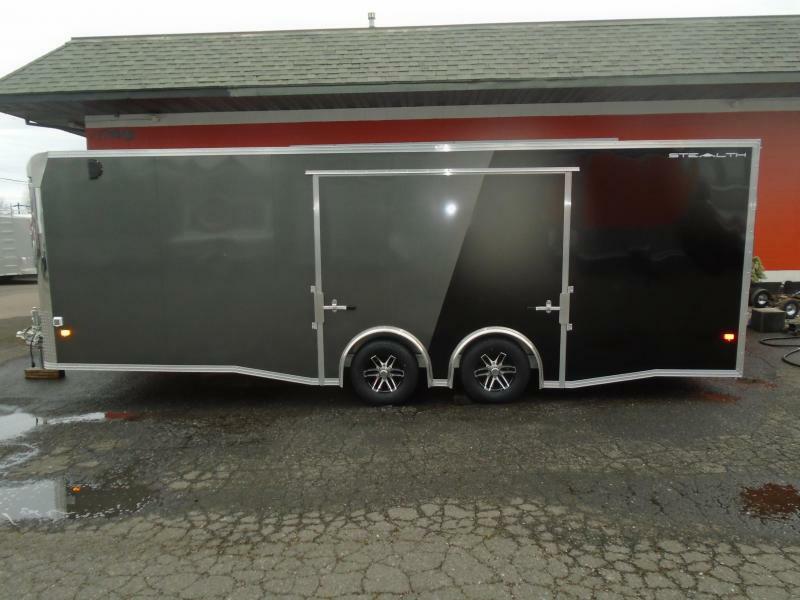 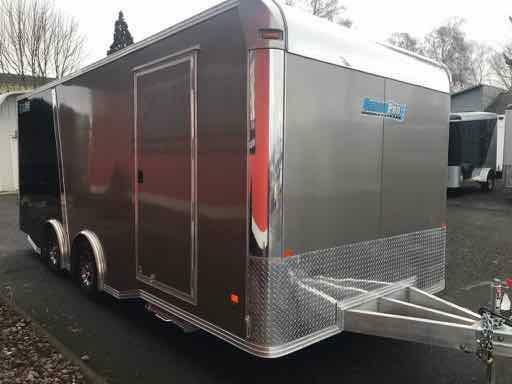 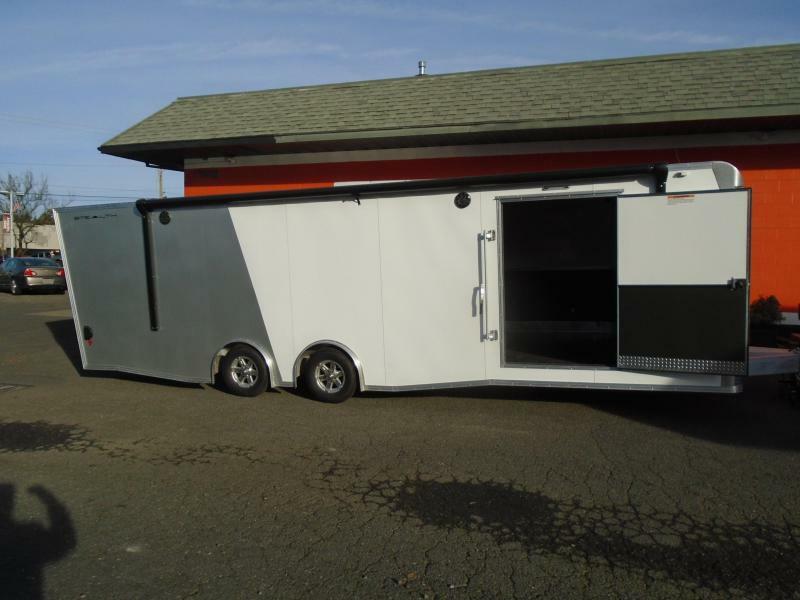 This Car hauler/Racing trailer has an extruded aluminum floor with 4 HD d-rings and an escape door so you can open your car door inside the trailer, plus really nice front upper and lower cabinets. 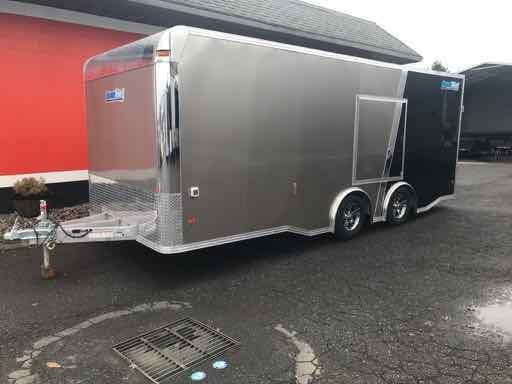 In addition it has a generator compartment with a 60amp power package, 12 volt battery and led lights inside, plus nice premium wheels. 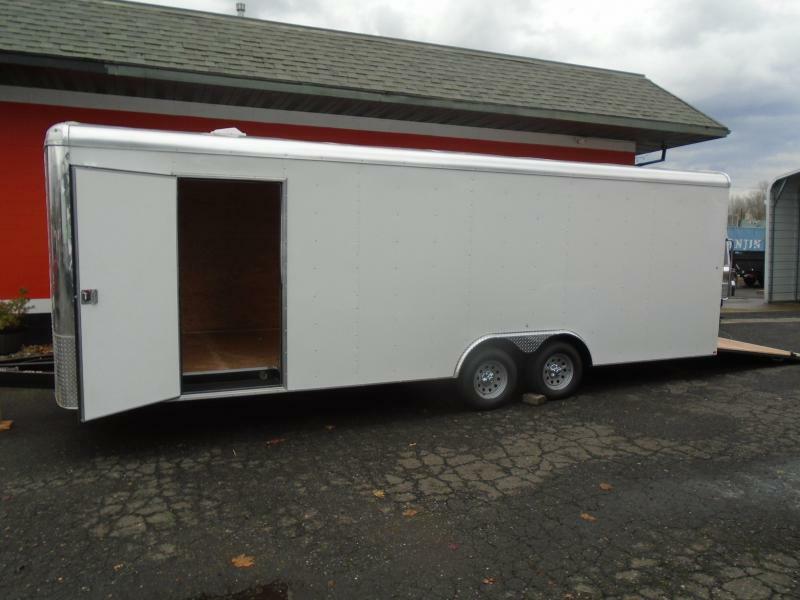 It is 6' 10' inside and sits on tandem 3500# torsion spread axles with brakes on both. 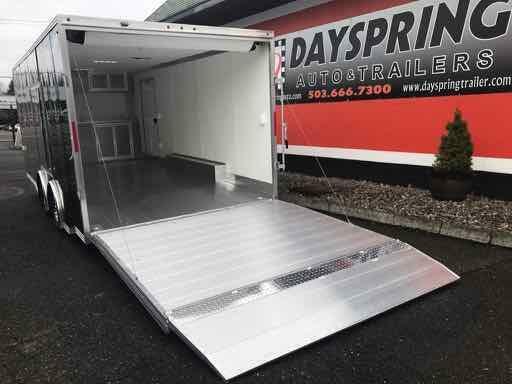 AT DAYSPRING OUR GOAL IS TO HELP YOU FIND THE RIGHT TRAILER FOR YOUR NEEDS. 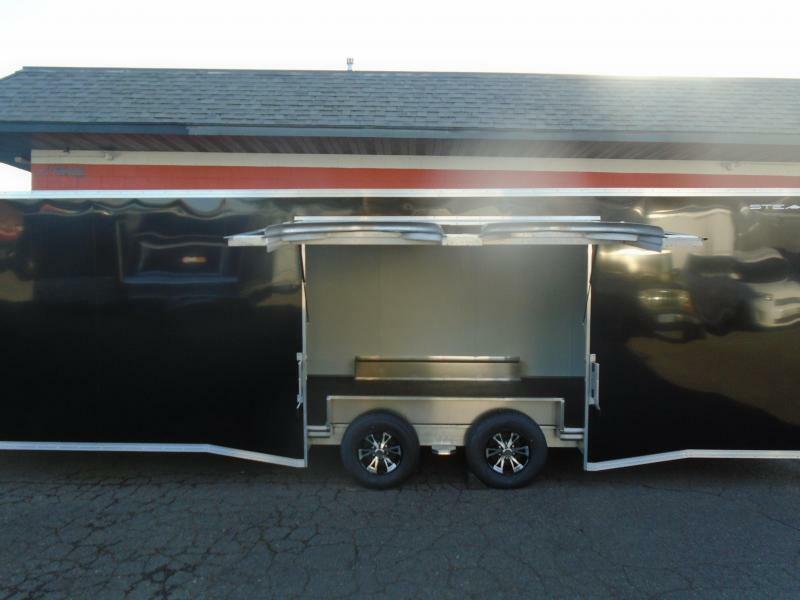 IF WE DON'T HAVE IT, WE WILL BE MORE THAN HAPPY TO ORDER IT FOR YOU. 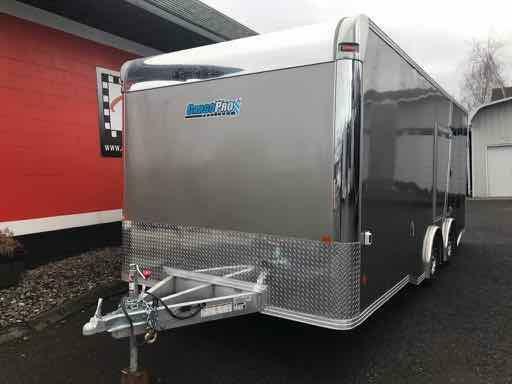 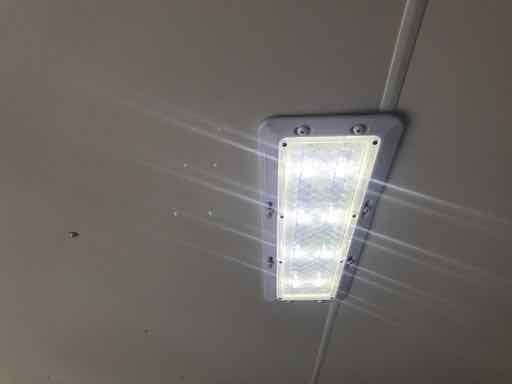 WE WANT TO MAKE SURE YOU HAVE THE RIGHT TRAILER AND ACCESSORIES TO FIT YOUR NEEDS AND THAT YOU REALLY ENJOY BUYING YOUR NEW TRAILER! 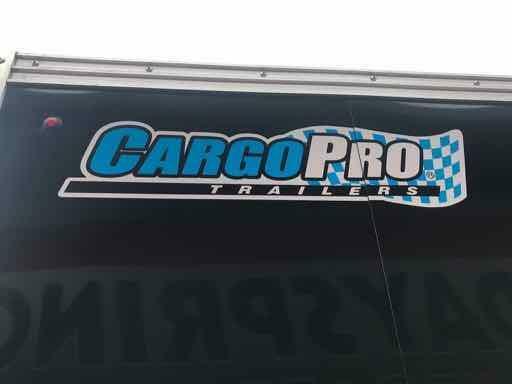 TRADES ARE NO PROBLEM, JUST LET US KNOW WHAT YOU HAVE. 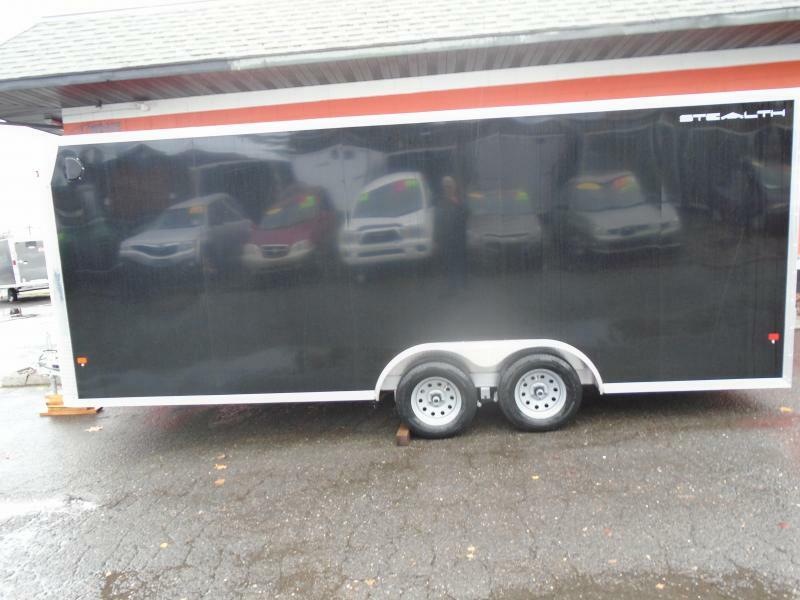 FINANCING RATES AS LOW AS 3.99 O.A.C. 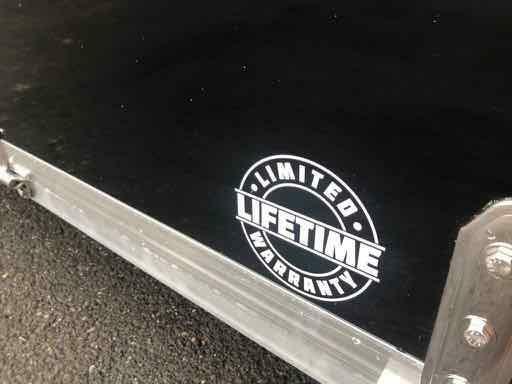 WE ARE A CERTIFIED CUDL DEALER.